The panini at l’antico vinaio are good, even delicious, but not worth to me waiting up to an hour in line for. Italian panini, were meant to be simple and traditionally included few ingredients: primarily cheese and/or meat. It seems that they’ve become monstrous man vs. food feasts here! Not that I don’t enjoy a decadent massive panino, but again, I suggest folks to consume info (and food) with a discerning palate. I am suspicious of the ingredients in terms of what’s actually in there and truffle sauces with 99% artificial flavor and 1% truffle extract. My personal tastes goes towards more artisan style eateries, where ingredient quality is emphasized. Not always, I do enjoy junk food too! But I get a lot of questions “is Antico Vinaio really that good?” Yes- it is but in case you don’t want to wait in line for an hour, here are some alternatives. Who are you, lady? I’m just a lady who has been obsessed with food their whole life. In any case, feel free to take my opinions with a grain of salt or curse them to the ends of cheese rinds. Or not give a flying tomato- up to you! Brunori has a selection of rolls to pick from in case you don’t want a monster panino and they have really tasty fillings (like artichoke cream) I suspect are made in house. They also bake their own bread since they are a breadshop (Panificio) so a huge plus that Vinaio can’t top. Their prices are great, usually 3-4€ a pop with also other goodies to choose from, like savory mini-foccaccia bites. They don’t have the selection of cheap wine by the glass but they do sell mini-bottles of wines and beers. I suggest a beer because the wine is honestly worse than the bag-in-box. This is totally a locals place that you have to know due to its location in a small street and no name on the outside. 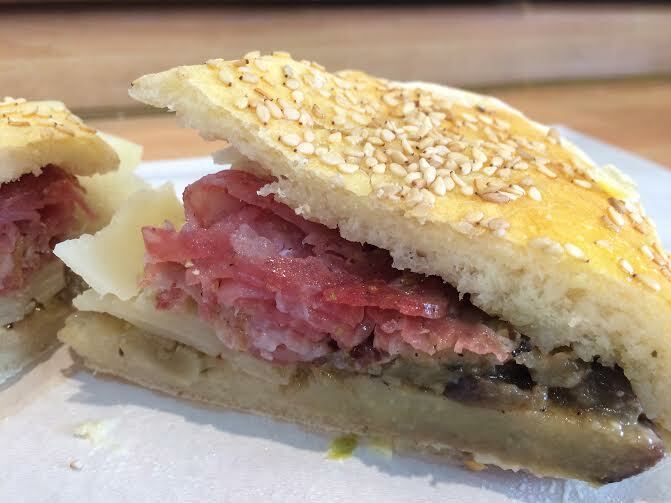 I highly recommend the sbriciolona (crumbly, fennel salami) with pecorino, artichoke cream and marinated eggplant on a small sesame seed roll. 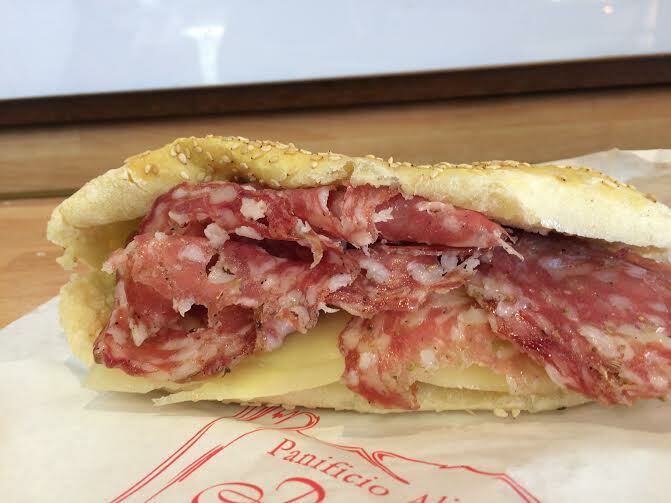 If you are looking for a panino shack which does schiacciata panini and wines by the glass, and imo higher ingredient quality than those you find at Antico Vinaio, try Schiacciavino whose panini are also that schiacciata (flatbread) style to Antico Vinaio’s and in my opinion, the fillings are of higher quality. Plus there is seating at Schiacciavino so you don’t have to sit on the curb with a bigger-than-life carb monster. SandwiChic does gourmet panini, with a placed importance on ingredient quality and artisanal sourcing VERY WELL. Plus, the service is really cordial, and I dig the vintage decor and fab music in the background. ‘Ino probably has super high overhead costs like rent being off the Ponte Vecchio, so I’ll give them that for 8eu panini with high quality ingredients. I know Procacci does teeny tiny finger-sized panini but they specialize in truffles and have been an institution since 1885. They have a various selection of panini, including foie gras & truffle panini, at times they do smoked salmon and arugula, brie and chianti jam and truffle marinated anchovies and butter (my all time fav). They serve a wide variety of wines all from their owning Antinori company. One may argue that this is a big mass producer of wines but they are also the producers responsible for Super Tuscan wines popularity and have been producing wines for 26 generations thus having extreme historical significance on Italian wine culture. I’ve really tried to give ‘Ino a chance, I went there three times and regretted it every single time. There are a few things off here, mostly the inflated hype, but the bread (dry and tough), the fillings which lack depth of flavor and the cost. Another thing that rubbed me the wrong way about the 8€ panini shack, is that there is no prosecco or any other sparkling wine. Despite the agreeable pairings sparkling wine is for salty, (and what should be) flavorful sandwiches. 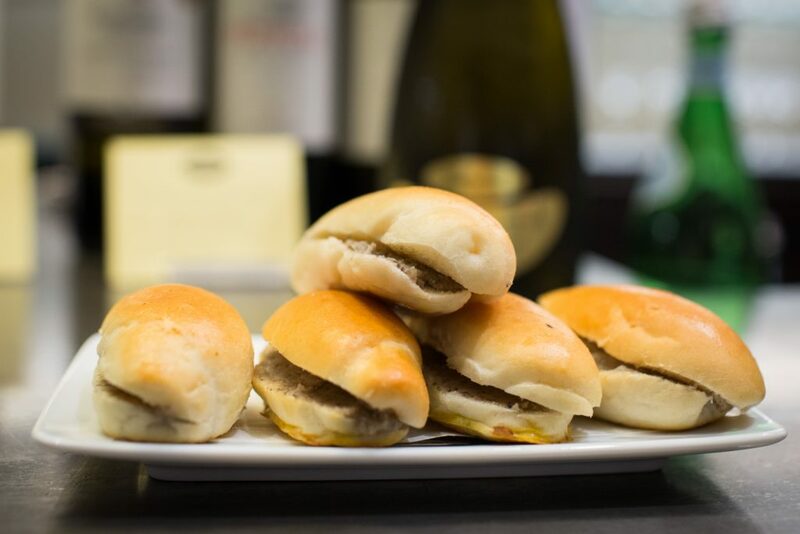 Procacci does in fact serve prosecco and other bubbly things, like franciacorta- a yummy pair for the foie gras and truffle panino! 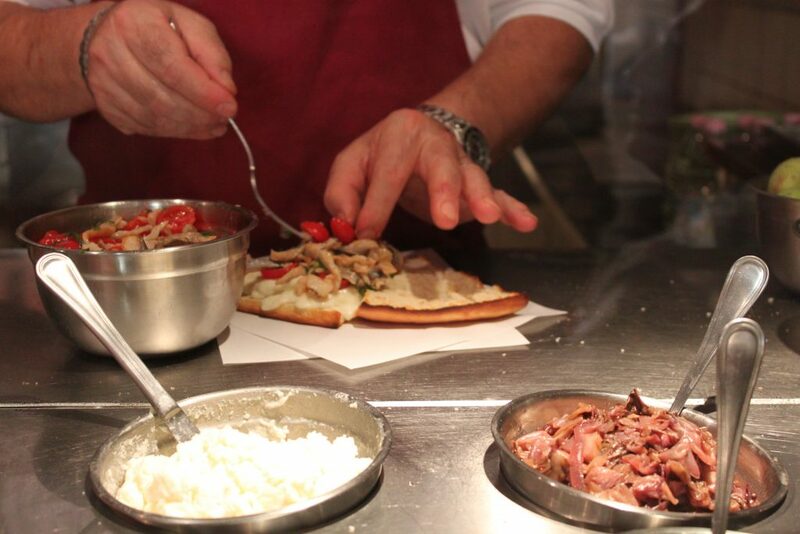 Semel is on many of best of Florence lists- which makes me happy. If you want something a bit heartier & unique, head over to Sant’Ambrogio to Semel. I will say that their panini are physically smaller than what you’d find at ‘Ino, but that’s because they are distinctly Tuscan fillings which are cooked from scratch (like sausage and saffron, stewed donkey and chard, or even tagliolini pasta in wild boar ragu’) and not just sliced meats/cheeses or jarred sauces. Marco is one of my heroes. 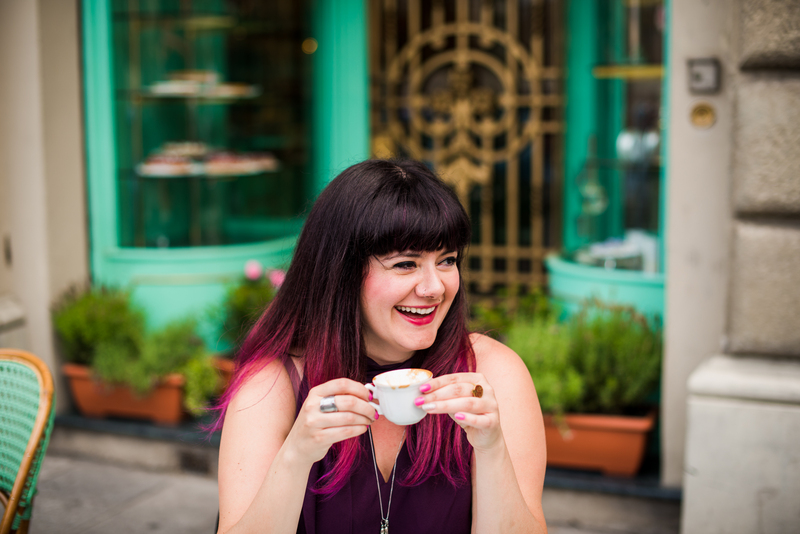 I interviewed on the Girl in Florence blog some years ago and mentioned Semel as one of my 3 favorite food finds in Florence. It still rings true. This is somewhat of a neutral alternative because I Fratellini (meaning: the little brothers) is kinda cool being a literal hole-in-the-wall and the guys that slather slates of pane are pretty real. But I find it a bit too discovered. Il Cernacchino not only does panini like porchetta and other usual suspects (finocchiona and ewe’s milk pecorino) with sfiziosi (fancy) options like lardo, pecorino and chili pepper marmalade, they have some down-home-cooking Tuscan primi like panzanella summer salad and pappa al pomodoro tomato and bread soup. I like the sisters, dressed in red, who run it. 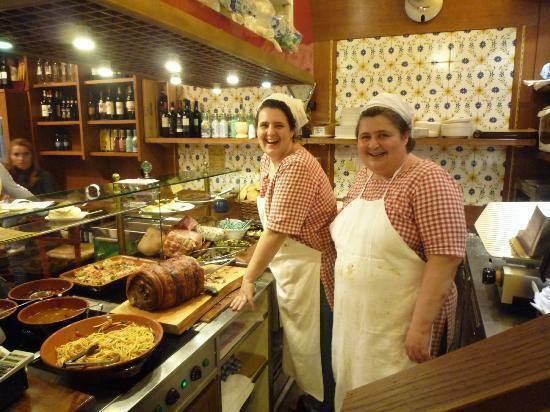 We need to highlight more women food players- afterall Italian food culture sanctifies “la cucina della mamma/nonna” yet most of the people we talk about running eateries are male figures. 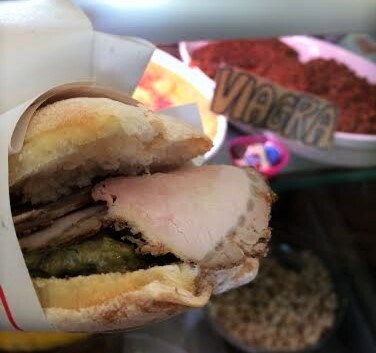 If you really care about food and experiencing local specialties, you at least need to try lampredotto (fourth cow’s stomach) at one of these food stands. While I do love the pop and son pair over on Via de’ Macci- they aren’t the only ones and in fact I think they get too much fawning. IT’S A FREAKING GUT SANDWICH CART, GUYS!!!! It’s like fetishizing a taco truck selling tripe tacos.However, while you’re here yes try it! Again, the son and papa pair do lampredotto well, it is one of the best in town, but it’s nearly the only one that gets online street cred, it’s even arrived in the New York Times! 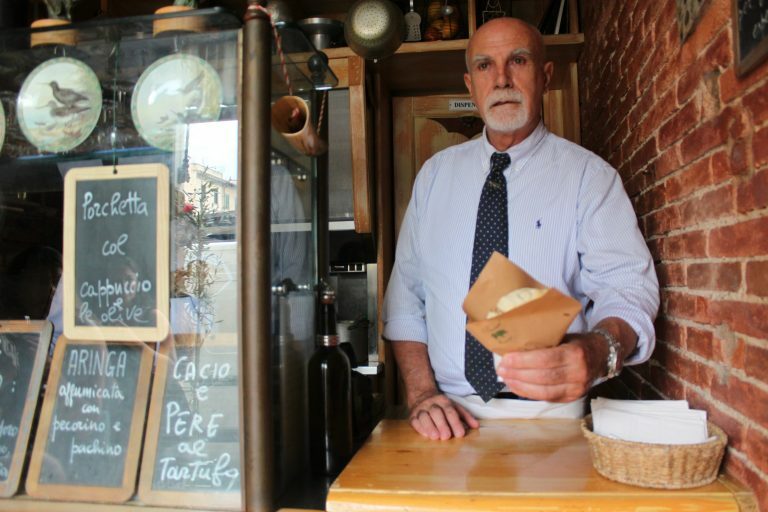 I really like the lampredotto guy in Piazza delle Cure because a. the area is not full of tourists in general and b. they do more sfiziosi (there’s that word again) things with lampredotto, i.e. once I went and they had it in a porcini and tomato sauce (pictured) which was pretty damn good. I also like Marco Bolognesi at the stand on Via Gioberti because he does nice tripe salads in the summer with fresh tomatoes and tropea sweet onion plus his poppa (cow teat) and lingua toasts are everything. I love the character found at these stands. I’ll be honest: if you have to stand in line for blue-collar food- it’s no longer humble fare but instead a tourist attraction and I refuse to do it. Everyday, nearly, the stand of Da Nerbone wraps around the market. Just as I am tired of seeing l’Antico Vinaio listed- Da Nerbone is also an eyesore. 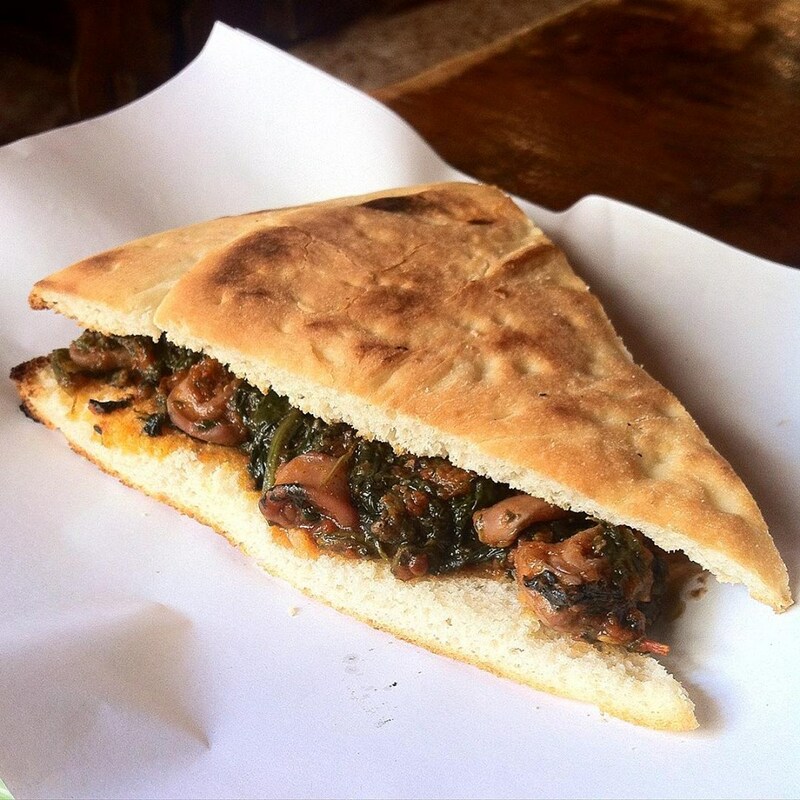 Look for just about any guide on where to eat/street food in Florence/panini in Florence and undoubtedly Da Nerbone comes up. What does Da Nerbone do that is supposedly so great? Well, they used to do bollito (boiled beef) sandwiches well and were a prime stop for lampredotto and tripe plus Tuscan primi like pastas (which are now usually greasy puddles of starches), ribollita (bean, bread and veggie) soup. To me, they seem like a glorified cafeteria/canteen food. The last time I went for a bollito panino at Da Nerbone, apart from the massive lines- the meat was way too dry and the sauces too salty. The lampredotto was forgettable and they didn’t dunk the bread in the broth- which may be a sign of them being too busy and missing the little details that make the difference. Whereas Bondi is just around the corner outside the market. They don’t do lampredotto, boiled beef but they have cool fillings that go in their flat focaccia breads (my favorite is the squid in greens, seppie in zimino) ridiculously cheap (2.5-3eu each!) plus wine and beer. There is seating inside and is not crowded which is a major plus for me. It’s a bit tricky to find but your efforts will be rewarded, I promise. Other places to get a decent panini are Schiacciavino, Li x Li, most alimentari (deli) especially Alimentari Uffizi (just ask for a panini with any of the meats, cheeses and marinated vegetables you see in the deli case- build your own and it’s so fresh!) Antico Forno Giglio (bakery with just a couple sandwiches already made with their house-made bread) in Via Gioberti. Any on here that you’d add? Hey! 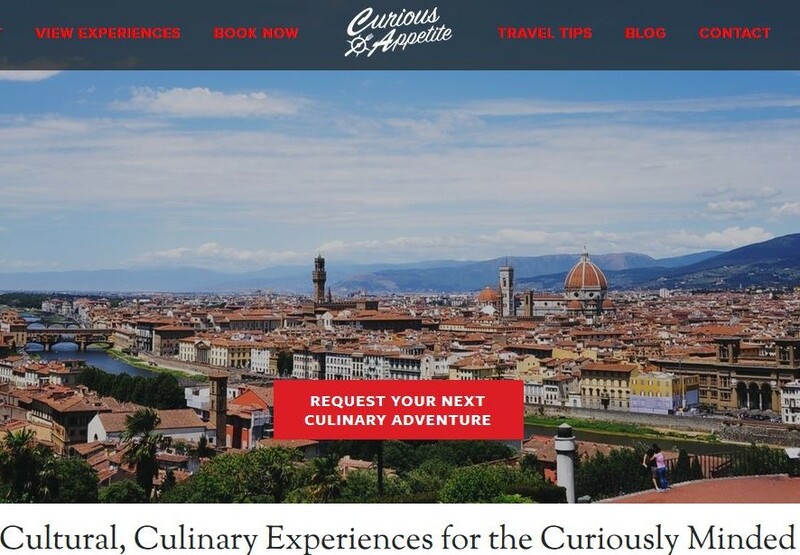 Want to stay in touch for more eating tips in Florence? Follow along facebook, instagram and now snapchat! Follow this blog by scrolling up and hitting that subscribe by e-mail button! 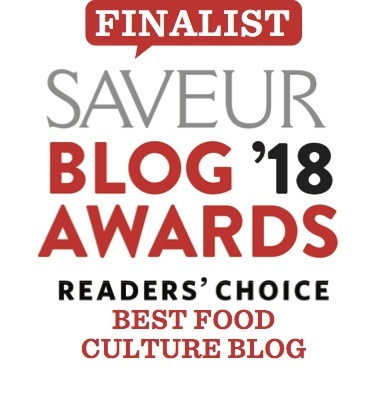 « New on Conde Naste and Saveur Food Blog Awards! Totally appreciate your straight talk! Thanks so much, Kelly!!! 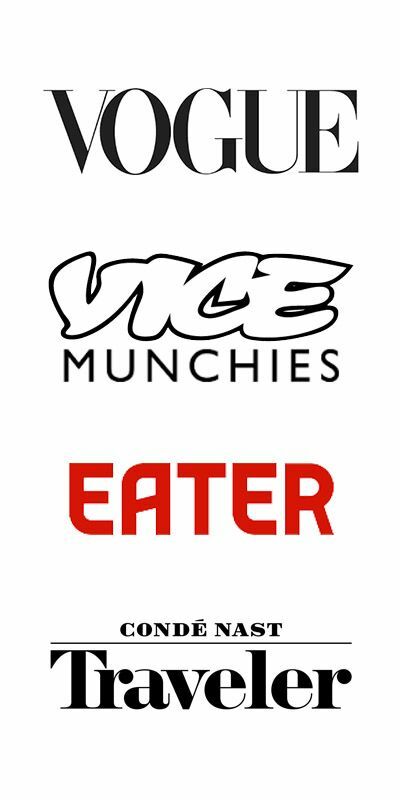 Keep eating real! We’ve tried and went back a few times to I Fratellini most because of the ‘hole in the wall’ description everyone gives it. While the sandwich is good, filling it’s really not all that. Now we have a bunch new places to try when we’re back in Florence! Thank You! Exactly!! So glad you shared your thoughts- I agree with you! Hope you like my list:) Let me know!